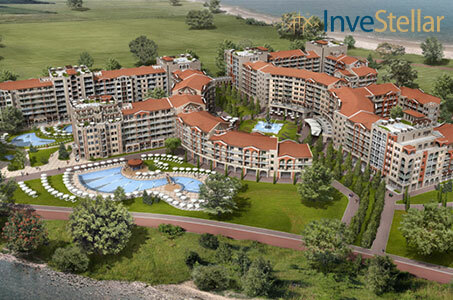 The District has the potential to be the most desirable and luxurious hotel and resort complex on the Bulgarian Riviera. With world-class design by Studio Libeskind, prime location between the Old and New town of Pomorie, proximity to the Sarafovo Airport and a beautiful view of Bulgaria’s seaside, the District is expected to redefine and raise the standard for luxury on the Bulgarian Black Sea Coast. Upon completion, The District is expected to obtain a landmark status as the largest seaside resort complex in Bulgaria, maintaining upwards of 3000 foreign and domestic tourists at the same time. Among the top 5 most visited seaside resorts is the Pomorie Municipality, located in the Burgas Province of Bulgaria. Often referred to as “the Pearl of the Bulgarian Riviera”, Pomorie provides visitors with a perfect blend of ancient history, incredible long and clean sandy beaches and access to warm, crystal-clear sea water. The city’s proximity to Sarafovo Airport (5-minute drive), Nessebar, Sozopol and Sunny Beach makes it an ideal choice for tourists, looking for leisure as well as modern dynamics and entertainment.